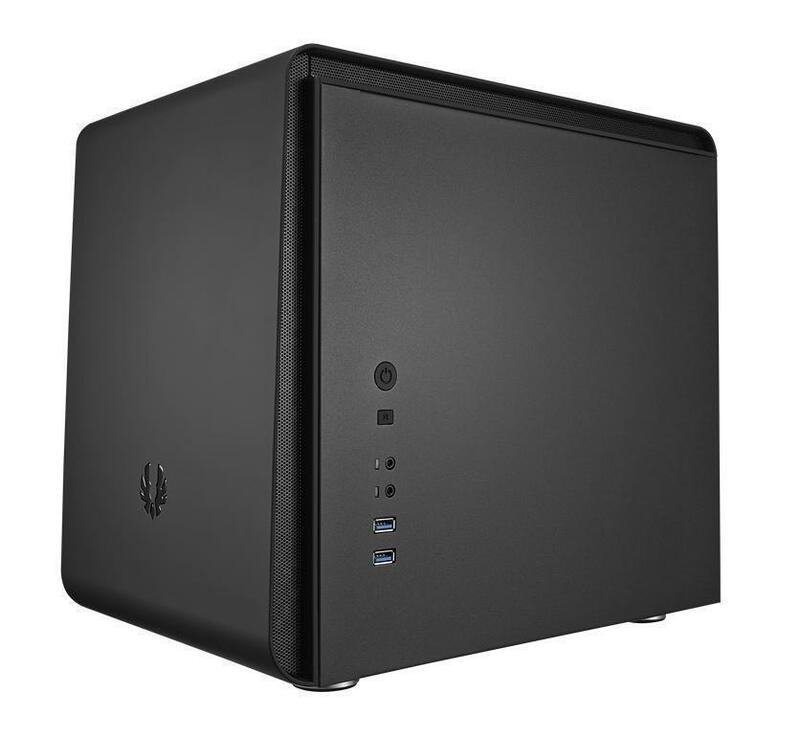 The latest BitFenix small form factor chassis, Phenom Micro-ATX combines an elegantly modern outlook with an incredibly flexible internal structure for a cube design like no other. The subtle curves coated in premium BitFenix SofTouch™ Surface Treatment offer a luxuriously matte finish, while the clean and uncluttered styling makes Phenom a perfect fit in virtually any environment. Designed for Micro-ATX motherboards, Phenom Micro-ATX delivers superb flexibility with support for dual long graphics cards, tall CPU coolers, and even slim water cooling radiators. Users can install up to four hard disks or six SSDs, and two high-speed USB 3.0 ports ensure lightning-quick transfers of today's high-definition media. Clean and Modern Styling Phenom was engineered to be a sleek modern cube design that fits in any environment. Mesh accents on the sides strikingly compliment the clean and uncluttered top, front, and side panels, while the high-gloss BitFenix logo in front provides a perfect contrast to the luxuriously soft matte finish of the SofTouch™ Surface Treatment. These elements combine with the subtle contours of the panels to form a timeless design ideal for a modern décor. 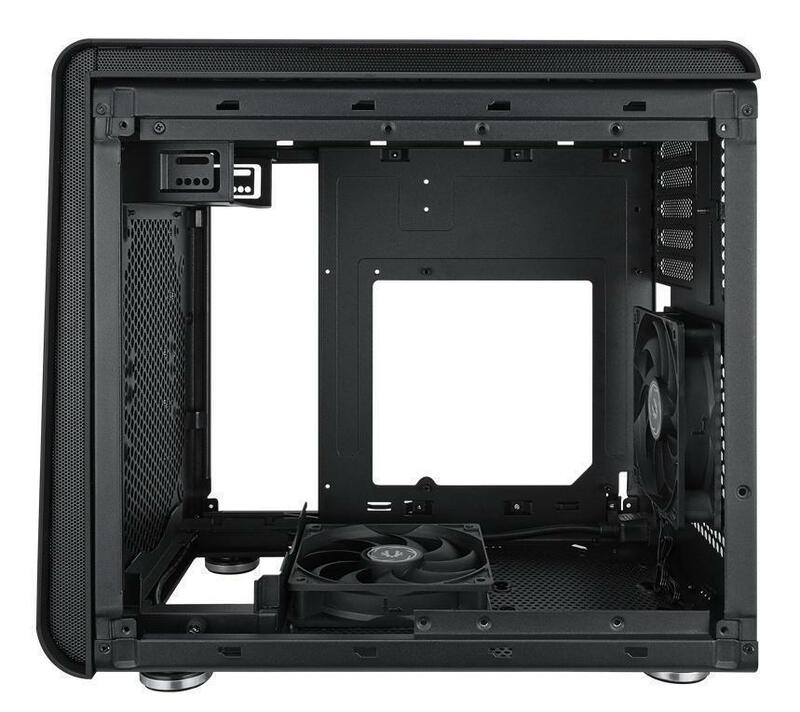 MATX Compatibility Featuring no less than five expansion slots, Phenom Micro-ATX accommodates micro-ATX motherboards to enable dual graphics capability such as SLI or Crossfire, or added expansion cards. 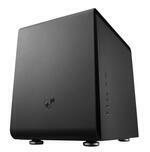 Superb Flexibility Tiny but mighty, Phenom Micro-ATX delivers an exceedingly flexible interior. Install dual graphics cards up to 320mm in length, or opt for a single graphics card and a slim 240mm water cooling radiator up top. Those who prefer air cooling will be pleased to see that tall CPU coolers up to 160mm can be mounted with no fuss. When it comes to hardware compatibility, Phenom-MATX is truly phenomenal. Multiple Storage Options With the included removable drive rack, side panel SSD mounts, and included drive bay adapter, Phenom Micro-ATX can be outfitted with up to five 3.5" HDDs or six 2.5" SSDs. The Choice Is Yours Like every system, every environment is also unique. 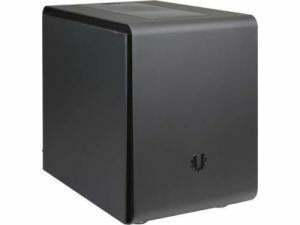 Phenom comes in both mini ITX and micro ATX models, each with both Midnight Black and Arctic White color options. Easy to Build Endlessly fidgeting with hardware to get your system running is no fun, which is why Phenom Micro-ATX offers multiple features to make the build process as easy as possible. Anti-vibration washers help dampen noise from moving hard disks, while zones for cable management ensure a tidy build. Filtered intakes keep airborne dust on the outside, and the included heat shield help keep heat escaping from the power supply from re-entering the case. High-Speed USB 3.0 Connectivity Media files are constantly increasing in size. With two high speed USB 3.0 ports, you'll be able to transfer files to Phenom Micro-ATX at speeds up to ten times that of USB 2.0. BitFenix Quality Phenom is packed with small touches that make using and owning a BitFenix chassis an experience. From the slick powder coated interior, to the rolled-edge cable pass-throughs and quick-release dust filters, Phenom embodies the BitFenix experience through and through.